In his interview on Balkanalysis.com (12/14/2008) , Linguistics professor and Balkan Studies scholar Victor Friedman portrays Greeks as a most undemocratic and oppressive nation, from ancient to present time, and places the role of Greece in the Balkans in a most negative light. The core of his arguments seems to lie in what he considers suppression of multilingualism and minorities in Greece, which he associates with the current dispute between Greece and the Former Yugoslav Republic of Macedonia (FYROM) on the name of the latter country. As scholars and academics, some of us students of Macedonian history and culture, we wish to offer an alternative perspective and rebut Friedman’s views and assertions in regard to the identity of the modern Greek nation and the true nature of the current dispute between Greece and FYROM. It should be noted that, prior to our decision to write this letter, we invited Dr. Friedman to debate his views in the Hellenic Electronic Center/Professors’ Forum*, but he declined our invitation. 2) In his rather bookish and rigidly circumscribed view about linguistically divergent constituencies in Greece, Friedman challenges the very essence of Modern Greek identity by disregarding –in a historical sense– the inclusive tradition of Romiosyni, the natural precursor of the Modern Greek nation. The concept of Romiosyni is, in many respects, akin to a ‘Greek Commonwealth’, which transcends racial, tribal, and regional linguistic barriers. In failing to bring this concept into consideration when it comes to the historical context of multilingualism in the Balkan region, Friedman echoes earlier claims by—let us note—Greek scholars such as the late Loukas Tsitsipis  of Aristotle University of Thessaloniki and the late Kostas Kazazis  of the University of Chicago. Friedman – who is no stranger to Arvanitika, Vlahika and Slavonic dialects in the geographic region of Macedonia– fails to acknowledge that linguistically variegated groups such as Vlach-, Arvanite-, and Slavonic speakers in Macedonia, members of the Ottoman Rum millet and loyal followers of the Patriarchate of Constantinople, were not “Hellenized” subjects (by way of coercive or repressive assimilation) but rather they comprised dominant forces decisively partaking in the fermentation process leading to the shaping of Modern Greek identity and the dissemination of Greek letters in Ottoman Rumelia long before the eruption of ethnic feuds, divisions, and regional nationalisms [8, 9]. 3) Friedman alludes to Greek indifference or even resistance to learning foreign languages, unlike other Balkan peoples. It is surprising that a Linguistics scholar uses the (presumed) lack of a Greek proverb to the effect that ‘languages are wealth’ as evidence that Greeks do not value multilingualism. This kind of rhetoric does not constitute a sound linguistic argument, and though possibly appealing to a lay-person, it reflects a way of thinking (called “strong relativism”) that has been largely discredited in current Linguistics. With reference to the modern history of the Greek Nation (Γένος), members of the Rum millet and Romiosyni, ranging from those belonging to the high echelon of diplomats and luminaries of the Sublime Porte (viz. the Phanariots) to the ubiquitous Balkan merchants and retailers in the Ottoman Rumelia, were in fact polyglot (Greek-, Vlach-, Albanian-, Slavonic-, and/or Turkish-speaking, many of them acquainted with Russian, French, German and/or English). Noteworthy in this regard was the precocious (18th century) Greek ‘renaissance’ in Moschopolis/Moscopole (present day Albania)  and the 19th/early 20th century Greek cultural dimension in Pelagonia (Krushevo and Monastir/Bitola; present day FYROM) [8, 9]. These centers fostered the dissemination of Greek culture and letters, promoted by bilingual or polyglot speakers with fervent Greek national identity. Vestiges from this, once flourishing, community are still present today in FYROM. The famous Protopiria (Primer), an Albanian-German-Modern Greek-Vlach dictionary written by the polymath cleric and scholar Theodoros Anastasiou Kavaliotis (Kavalliotes) , was the forerunner of comparative linguistics in the Balkans. It was printed in 1770 in Venice, and stands as a reminder of the widespread multilingualism in the flourishing Grecovlach center of Moschopolis/Moscopole and across the territories of the Ottoman Rumelia (the geographical region of Macedonia included). Reference is made herein to the published works by Thomas Paschidis (1879)  and Mihail Lanbrinydis (1907) , which capture the collective memories of Arvanite and Vlach Greeks during the second half of the 19th century and the early 20th century. These works offer a palpable proof of the Greek-Albanian kinship perceived by the 19th century Greek scholars. Noteworthy in this regard are the demonstrative sentiments of Thomas Paschidis, a bilingual -possibly polyglot- Greek Epirote/Arvanite luminary, towards his Grecovlach and Bulgarian brethren. His book contains an appendix in Arvanitika using Greek characters, which is especially informative and enlightening . Given the above, we contend that claims for the presence of divergent identities of Greeks, Arvanites, Vlachs, and so-called Macedonian Slavs, based solely on linguistic grounds, should be viewed with cautious circumspection and within the context of time and space. In particular, it is somewhat surprising that Friedman did not consider the massive diffusion of Arbëreshë (Arvanite) speakers southward into the Helladic Mainland and the Peloponnese during the 14th and 15th centuries (and the most relevant Stradioti saga). Τhe remarkable fermentation and integration of Arbëreshë/Shqiptarë-speaking populations with Greek-, Vlach/Armîn-, and Slavonic-speaking members of the Rum millet during the ensuing centuries remains at the core of Romiosyni and Modern Greek ethnogenesis. Thus, from a modern historic and anthropological perspective, the rigidly circumscribed and sharply delimited ethno-linguistic ‘definitions’ and compartmentalizations brought forward by Friedman are open to critical reappraisal. Importantly, they are, to a large extent, alien and irrelevant to the Greeks of Arvanite or Vlach origin, whose identity has been shaped by their collective participation in the Modern Greek Experience during the past two (and possibly more) centuries. Whilst the vision of the 18th century Grecovlach luminary Rigas Velestinlis Thettalos (Feraios) for the creation of a post-Ottoman Balkan Federation/Commonwealth, transcending regional and linguistic differences, did not materialize, the idea –nonetheless- reflected the sentiment of many emancipated Greeks at the time. But the ethnic/national ‘awakenings’ and the divisive forces were already underway, heralding the partial disintegration of Romiosyni followed by a protracted and intractable course of regional feuds and dissensions, which unfortunately live up to this day. The emergence of the ethnocentric national(istic) narrative of ‘Makedonism’ is symptomatic of delayed ‘awakening’ thanks –in part- to the contributions by scholars like Dr. Victor Friedman. 4) Friedman’s argument that “the Greeks came up with a line claiming the Macedonians could not claim the name Macedonia unless they were descended from the Ancient Macedonians” is a sheer misrepresentation. The basis of the dispute between Greece and FYROM lies on the open attempt by the FYROM government to appropriate a very significant part of the Greek history (see examples: http://faq.macedonia.org/history/ and http://www.macedonia-timeless.com/). As part of its newly constructed national narrative, FYROM has opted to trace its historical roots to classical antiquity, underrating the predominantly Slavonic cultural heritage of the majority of its population, which is shared with its Bulgarian brethren. 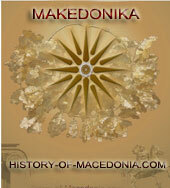 In the words of Dr. Evangelos Kofos, Greece’s leading authority on Modern Macedonian History, this all-encompassing doctrine of ‘Makedonism’ is “encroaching upon an illustrious past, which had been recorded in the annals of Hellenic heritage, almost a millennium prior to the arrival of Slavic tribes in the region”  (N.B. 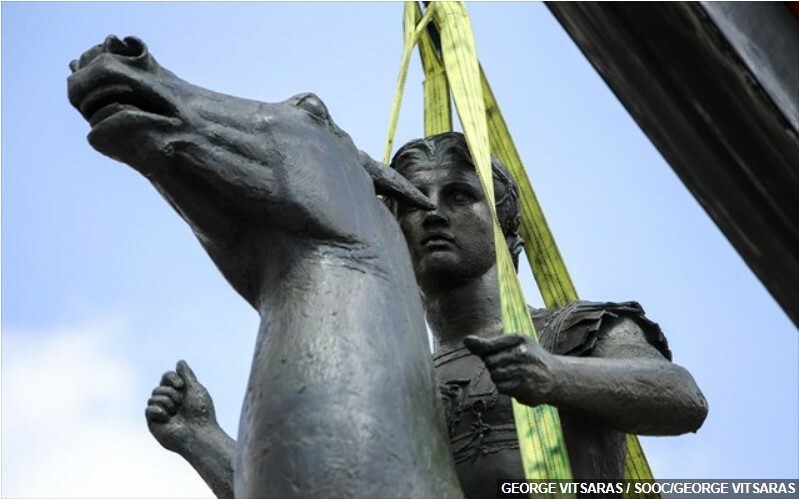 There was no Slavic presence in Macedonia until nearly 1,000 years after the time of Alexander the Great). It is indeed regrettable that Friedman has opted to downplay the gravity and long-term implications of a morbidly nationalistic narrative nurtured in the primary and secondary school curricula of FYROM. Greeks throughout the world do not harbor any enmity or hostility toward FYROM nationals, and yearn for a peaceful and productive coexistence between the two peoples. Greece has an earnest desire for mutual respect and the realization of a lasting political solution with its northern neighbor. Greece does not deny the nationals of FYROM their identity (or identities). In this dispute, Greece is only compelled to delineate the distinction between the ethno-cultural domains of Greek Macedonia and FYROM. With this in mind, we wish that the people of FYROM start questioning the state propaganda and reflect upon their recent history. They were victimized for half a century under a totalitarian regime and were nurtured under a propagandistic educational system. In keeping with this entrenched tradition, Article 6 of the Law on the Scientific Research Activity, as published in the “Official Gazette of the Republic of Macedonia” Nos.13/96 and 29/02, proscribes the development of any scientific research on the ethnic identity of the citizens of FYROM. 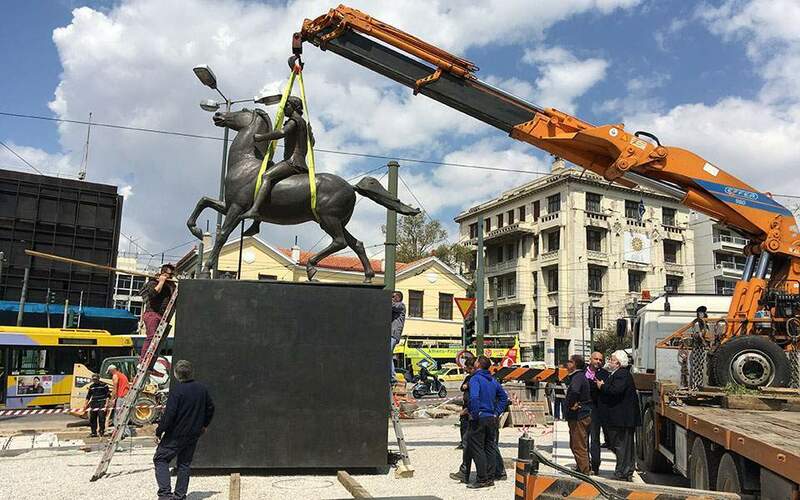 We believe that such obsessive preoccupation with national identity in the 21st century, coupled with misrepresentation of history, only harms the citizens of FYROM. As a geographic region, Macedonia has long been known for its ethno-linguistic diversity for which the time-honored term “Macedonian salad” was coined. Hence, Macedonia is neither a single country nor the cradle of a single nation, but a geographic region (with protean borders throughout history) parts of which belong nowadays to three states, each with its distinctive cultural heritage, national identity, and collective memory. It is most disturbing that Skopje claims the entire geographic Macedonian region of modern times as part of that nation’s “tatkovina” (fatherland), thus effectively laying claim to unredeemed territories in Greek Macedonia . This is not a “hidden agenda”. The government of FYROM has published and circulated a state map showing FYROM to extend over Greek territory, including Thessaloniki . On the first site, it is additionally cautioned that “Macedonian is the ancient language of the Macedonian kingdom in northern Greece and modern Macedonia during the 1st millennium B.C. Not to be confused with the modern Macedonian language, which is a close relative of the Slavonic Bulgarian [emphasis ours].” For additional references on the subject, see G. Babiniotis, “Ancient Macedonian: The Place of Macedonian among the Greek Dialects” in : A. M. Tamis (ed. ), Macedonian Hellenism, Melbourne 1990, pp. 241-250; C. Brixhe, A. Panayotou, “Le Macédonien” in: Langues indo-européennes, ed. Bader, Paris, 1994, 205–220; and J. Chadwick, The Prehistory of the Greek Language, Cambridge 1963. 5) Friedman’s assertion that the Greek State has implemented repressive measures against the “Macedonian minority” in Greece is politically motivated. Most importantly, it misrepresents the real demographic situation in the Northwestern prefectures of Greek Macedonia, by not taking into account the fact that the use of variant local Slavonic-like idioms/dialects is widespread among bilingual, indigenous Greek Macedonians with unambiguous Greek identity. These bilingual Greek Macedonians (also known as Grecomans or Grkmani) along with Grecovlachs were the backbone of Romiosyni and Hellenism in the region during the 19th and 20th centuries. Friedman should by now be cognizant of the fact that when it comes to Macedonian identities it ultimately boils down to choices of national affiliation, as, not infrequently, even members of the same family may profess divergent ethnic/national identities. And even though Greece disputes the existence of a “Macedonian minority” on the grounds of definition, the self-described “party of the Macedonian minority in Greece”, Rainbow-Vinozhito, enjoys full recognition by the Greek state (and receives a negligible number of votes in elections). Vinozhito’s members are free to openly express their grievances and dissenting opinions. The problem of FYROM is further compounded by the fact that a large proportion of its population, and a number of the Slavophone inhabitants of Greece, collaborated with the Italian and German occupation forces (1941-1944)  and by the rekindling of old family feuds and grievances dating back to the days of the Greek Civil War (1945-1949). These have nowadays resurfaced thanks to the bitter politics embraced by a third generation of politicians in Skopje, belonging for the most part to the nationalist VMRO-DPMNE party [16, 22]. Some of them, like current Prime Minister Nikola Gruevski, identify themselves as “Aegean Macedonian” (Egejski) political refugees, based on their family roots in Greek Macedonia . At issue are claims for restitution and/or repatriation, subjects that other states with autonomist Axis collaborators (such as the Czech Republic and Poland) refuse even to discuss [22, 23]. Whilst during the past thirty years the Greeks have managed to heal some of the Civil War wounds, there are still fresh memories, even among members of the Greek Communist Party, about the subversive actions of Makedonski autonomist bandsmen of NOF endangering the territorial integrity of Greek Macedonia. 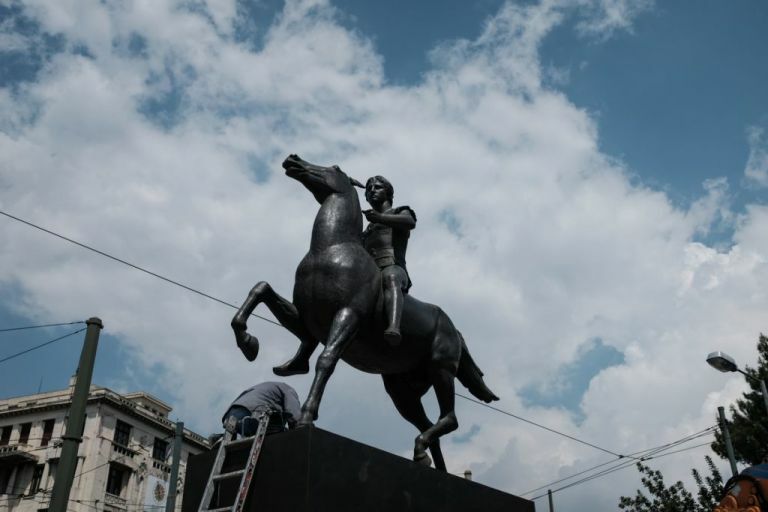 By playing the Egejski card half a century later, in the midst of negotiations over the thorny ‘name issue’, Skopje shows an increasingly intransigent and confrontational -rather than constructive- approach. We conclude by emphasizing that sensationalism and sheer bias, as displayed in Friedman’s interview, serve neither historical truth nor a constructive scholarly or political discourse; and they certainly do not help the people of FYROM. No intellectual and scholar should feel comfortable accepting, let alone promoting, such rhetoric. 2. “Byzantium nurtured the untamed tribes of the Serbs, Bulgars, Russians and Croats and shaped them into nations. It gave them its religion, its institutions, its traditions, and taught their leaders how to govern. Indeed, [Byzantium] gave them the essence of culture –written language/script and philology.” F. Dvornik, Les Slaves, Byzance et Rome au IXe siècle, II, Paris 1928 and P.P. Charanis, The development of Byzantine Studies in the United States. Acceptance lecture by Professor P. Charanis upon his conferral of Doctor honoris causa by the Aristotle University of Thessaloniki (14.3.1972), Thessaloniki, 1973, 34. Cited in Achille Lazarou, Ellinismos kai Laoi Notioanatolikis (NA) Evropis. Diachronikes kai Diepistimonikes Diadromes. Tomos A’. Lychnia Publishers, Athens, 2009, p. 218 [ISBN 978-960-930950-9]. 3. Antonios-Emilios Tahiaos O Athonitis Monahos Maximos o Graikos. O Teleftaios ton Vyzantinon sti Rossia, published by the Society for Macedonian Studies, People’s Library, Thessaloniki 2008. 10. See the excerpt from the Introduction of J.N. Adams’ book. 11. See Rochette’s treatise Les Romains et le latin vus par les Grecs. 13. Theodoros Kavaliotis, founder of the New Academy of Moschopolis, was the author of a quadrilingual dictionary entitled Protopiria. Das dreisprächige Wörterverzeichnis von Theodoros Anastasiu Kavalliotes aus Moschopolis, gedruckt 1770 in Venedig: albanisch-deutsch-neugriechischich-aromunisch/ neu bearbeit, mit dem heutigen Zustande der albanischen Schriftsprache verglichen_ [Protopiria (Πρωτοπειρία)= Primer. Three Lists of Words in Three Languages, which was printed in 1770 in Venice: Albanian-German-Modern (‘Nea’) Greek-Armîn/Vlach; New edition, with the today’s Situation of the Albanian written Language]. 17. See claims about the ‘Sub-Saharan origin of the Greeks’ in state-sponsored ethnogenetic studies. 20. Excerpted from the letter of Dr. Rouman to the New Hampshire Governor Craig Benson (dated 2002). Dr. Rouman was for five years, both at the University of Wisconsin at Madison and at the Institute for Advanced Study at Princeton, research assistant during Professor Charles F. Edson’s protracted and difficult project, focusing on the editing of all the inscriptions of ancient Thessalonica from the third century B.C. to the seventh or eighth century A.D. for the German Academy of Berlin. For his meritorious contribution Dr. Edson was awarded the prestigious Charles Goodwin Award of Merit of the American Philological Association. Martis, Nikolaos, Former Minister of Macedonia/Thrace. Agathos, Spiros N., Professor, Catholic University of Louvain, Louvain-la-Neuve, BELGIUM. Albrecht-Piliouni, Effie, Professor of Linguistics, Auburn University, Auburn, AL, USA. Albrecht, Ulrich, Professor of Mathematics, Auburn University, Auburn, AL USA. Anagnostopoulos, Stavros A., Professor of Civil Engineering, Head, University of Patras, 26500, Patras, GREECE. Anastassiou, George, Professor of Mathematics, University of Memphis, USA. Anastassopoulou, Jane, Professor, NTUA, GREECE. Andreadis, Stelios T., Ph.D., Professor, Bioengineering Laboratory, University at Buffalo, The State University of New York, New York, USA. Antoniou, Antonios, Dr. Dent., D.M.D., Dental Surgeon, Lemesos, CYPRUS. Arkas Evangelos, Ph.D., CEO Prometheus Technology Inc. London, UK. Aroniadou-Anderjaska, Vassiliki, Ph.D., Research Assistant Professor of Neuroscience, Dept. of APG and Dept. of Psychiatry, F. Edward Hebert School of Medicine, Bethesda, MD, USA. Athanassouli, Georgia, Ph.D., Associate Professor, Department of Physics, University of Patras, GREECE. Balopoulos, Victor, Associate Professor, Dept. of Civil Engineering, Democritus University of Thrace, Thrace, GREECE. Barbas, John T., Ph.D., Professor of Chemistry, Valdosta State University, Valdosta, GA, USA. Billis, Euripides, Ph.D., Assistant Professor, National Technical University of Athens, Athens, GREECE. Bitros, George C., Professor of Economics, Emeritus, Department of Economics, Athens, University of Economics and Business, Athens, GREECE. Botsas, Lefteris N., Ph.D., Professor Emeritus, Economics Oakland University, Rochester, Michigan, USA. Boundas, Constantin V., Professor Emeritus, Department of Philosophy, Trent University, Peterborough, Ontario, CANADA. Bouros, Demosthenes, MD, Ph.D. FCCP Professor of Pneumonology, Chairman, Dept, of Internal Medicine, Democritus University of Thrace, GREECE. Bronstein, Arna, Associate Professor of Russian, Dept. of Languages, Literatures and Cultures, University of New Hampshire, Durham, NH, USA. Burriel, Angeliki R., DVM, MSc, MSc, PhD, MRCVS, GREECE. Bucher, Matthias, Ph.D., Assistant Professor, ECE Dept., Technical University of Crete, Chania, Crete, GREECE. Cacoullos, Theophilos, Emeritus Professor, University of Athens, Athens, GREECE. Caratzas, Aristide D., Historian, Academic Publisher, Athens/New York. Chaniotakis, Nikos, Professor of Chemistry, University of Crete, Crete, GREECE. Christodoulou, Manolis A., Professor of Control Laboratory, Technical University of Crete, Chania, Crete, GREECE. Chrysanthopoulos, Michael, Ph.D., Historian, Hagiographer, Thessaloniki, GREECE. Cladis, John B., Ph.D. in Nuclear Physics, Lockheed Martin Space Physics Lab, Palo Alto, California, USA. Clairmont, Richard, Dr., Senior Lecturer of Classics, University of NH, USA. Constantinides, Christos, Professor Emeritus, Electrical and Computer Engineering, University of Wyoming, USA. Constantinou, Philip, Ph.D., Professor, School of Electrical and Computer Engineering. National technical University of Athens, Athens, GREECE. Coucouvanis, Dimitri, Professor of Chemistry, The University of Michigan, Ann Arbor, Michigan, U.S.A.
Daglis, Ioannis A., Ph.D., Research Director, Institute for Space Applications National Observatory of Athens, Penteli, GREECE. Damianou, Pantelis, Professor, Department of Mathematics and Statistics, University of Cyprus, 1678, Nicosia, CYPRUS. Danginis, Vassilios A., Ph.D., Director of Engineering, SMSC, Hauppauge, NY 11788, USA. Deltas, Constantinos, Professor of Genetics, Chairman of Biological Sciences, Head, Laboratory of Molecular and Medical Genetics, University of Cyprus, Kallipoleos Nicosia, CYPRUS. Demetracopoulos, Alex C., Professor, Dept. of Civil Engineering, University of Patras, 265 00, Patras, GREECE. Associate Chair and Graduate Program Director, Department of Mining and Materials Engineering, McGill University, Wong Building, 3610 University Street, Montreal, QC H3A 2B2, CANADA. Dokos, Socrates, Dr., Senior Lecturer, Graduate School of Biomedical Engineering, University of New South Wales Sydney, AUSTRALIA. Doulia, Danae, Professor of Nat. Techn. University of Athens, Athens, GREECE. Dritsos, Stephanos E., Professor, Dept. of Civil Engineering, University of Patras, 26500, Patras, GREECE. Economou, Thanasis, Senior Scientist, Laboratory for Astrophysics and Space Research, Enrico Fermi Institute, University of Chicago, IL, USA. Efthymiou, Pavlos N., Professor, Dr. ret. nat., Faculty of Forestry and Natural Environment, Aristotle University of Thessaloniki, GR – 541 24 THESSALONIKI, GREECE. 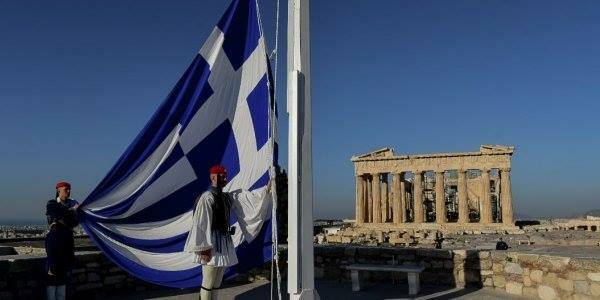 Episcopos, Athanasios, Associate Professor, Athens University of Economics and Business, Athens, 10434, GREECE. Eriotis, Nikolaos, Associate Professor of Accounting, University of Athens, Philothei, GREECE. Fleszar, Aleksandra, Assoc. Professor of Russian, University of New Hampshire, Durham, NH, USA. Flytzani-Stephanopoulos, Maria, Ph.D., Professor, Department of Chemical and Biological Engineering, Tufts University, Medford, MA, USA. Fotopoulos, Spiros, Professor, Electronics Laboratory, Department of Physics, University of Patras, GREECE. Foudopoulos, Panayotis, Ph.D., Electrical Engineer, National Technical University of Athens, Athens, GREECE. Fthenakis, Vasilis, Director, Center for Life Cycle Analysis, Earth and Environmental Engineering Department, Columbia University, 926 S.W. Mudd, 500 West 120th Street, New York, NY 10027, USA. Gatzoulis, Nina, Supreme President of the Pan-Macedonian Association (USA) and Professor, Department of Languages, Literatures and Cultures, University of New Hampshire, USA. Gavalas, George, Professor Emeritus of Chemical Engineering, California Institute of Technology, USA. Gavras, Irene, MD, Professor of Medicine, Boston University School of Medicine, Boston, MA, USA. Bernard M. Gordon Senior Faculty Fellow of Systems Engineering, TUFTS University, Medford, MA, 02155, USA. Georges, Anastassios T., Professor, Department of Physics, University of Patras, GREECE. Georgiou, Demetrius A., Associate Professor, Faculty of Engineering, Democritus University of Thrace, GREECE. Giannakidou, Anastasia, Professor of Linguistics, Dept. of Linguistics, University of Chicago, USA. European Investment Bank, 100, blvd Konrad Adenauer, L-2950, Luxembourg. Groumpos, Petros P., Professor, Department of Electrical and Computer Engineering, University of Patras, GREECE. Halamandaris, Pandelis, Ph.D., Ed.D. Professor Emeritus, Brandon University, Deputy Director, University of Manitoba Centre for Hellenic Civilization, CANADA. Hassiotis Sophia, Ph.D., Civil Engineering Program Director, CEOE, Stevens Institute of Technology, Hoboken, N.J. 07030, USA. Ioannou, Petros, Ph.D., Professor, Electrical Engineering-Systems, University of Southern California Los Angeles, CA, USA. Iliadis, Lazaros S., Associate Professor, Democritus University of Thrace, GREECE. Kakouli-Duarte, Thomais, Ph.D., President, Hellenic Community of Ireland, and Lecturer, Environmental Bio-Sciences, Dept. of Science and Health Institute of Technology, Carlow, IRELAND. Kamari, Georgia, Professor, Division of Plant Biology, Department of Biology, University of Patras, GR-265 00, Patras, GREECE. Kambezidis, Harry, Dr., Research Director, National Observatory of Athens, Athens, GREECE. Karabalis, Dimitris L., Professor, University of Patras, GREECE. Karageorgis, Demetris, Information Science Teacher, Nicosia, CYPRUS. Karagiannidis, Iordanis, Ph.D., Assistant Researcher, Department of Medicine, David Geffen School of Medicine, UCLA, Los Angeles, CA, USA. Karakatsanis, Theoklitos S., Ph.D., Electrical Engineer N.T.U.A, Assistant Professor D.U.TH., Dept. of Production Engineering & Management, School of Engineering, Democritus University of Thrace, GREECE. Karatzios, Christos, M.D. C.M., FRCPC, Assistant Professor of Pediatrics, McGill University Health Centre, Division of Infectious Diseases, Montreal Children’s Hospital; Associate Member, Special Immunology Division, Centre Universitaire Mere-Enfant de l’Hopital Ste Justine, University of Montreal, Quebec, CANADA. Karayanni, Despina A., Ph.D., Assistant Professor of Marketing, University of Patras, Department of Business Administration, GREECE. Karpathakis, Anna, Ph.D., Associate Professor of Sociology, CUNY, New York, USA. Katsetos, Christos D., M.D., Ph.D., FRCPath, Professor of Pathology, Drexel University College of Medicine and St. Christopher’s Hospital for Children, Philadelphia, Pennsylvania, U.S.A.
Katsifarakis, Konstantinos L., Ph.D., Professor, Department of Civil Engineering, Aristotle University of Thessaloniki, GREECE. Katsifis, Spiros, Ph.D., FACFE, Associate Professor and Chair, Department of Biology, University of Bridgeport Bridgeport, CT, USA. Katsoufis, Elias C., Associate Professor of Physics, School of Applied Sciences, National Technical University of Athens, Athens, GREECE. Katsouris, Andreas, Professor of Ancient Greek Philology, Division of Classical Philology, University of Ioannina, GREECE. Kitridou, Rodanthi C., MD, FACP, MACR Professor Emerita of Medicine (Rheumatology), USC Keck School of Medicine, Los Angeles, CA, USA. Komodromos, Petros, Lecturer, Department of Civil & Environmental Engineering University of Cyprus, CYPRUS. Konstantatos (Kostas), Demosthenes J., Ph.D., M.Sc., M.B.A., Telecommunications, Greenwich, CT, USA. Kottis, George C., Emeritus Professor, Athens University of Economics and Business Science, Athens, GREECE. Kugiumtzis, Dimitris, Assistant Professor, Department of Mathematical, Physical and Computational Sciences, Faculty of Engineering, Aristotle University of Thessaloniki, GREECE. Koussis, Antonis D., Ph.D., Research Director, Institute for Environmental Research, National Observatory of Athens, Metaxa & Vassileos Pavlou, GR – 152 36 Palaia Penteli, Athens, GREECE. Koutroumbas, Konstantinos, Ph.D., Researcher, Institute for Space Applications & Remote Sensing, National Observatory of Athens, Palea Penteli, 15236 ATHENS-GREECE. Koutselini, Mary, Dr , Department of Education, University of Cyprus, CYPRUS. Kouzoudis, Dimitris, Lecturer, Engineering Sciences Department, University of Patras, 26504 Patras, GREECE. Kritas, Spyridon K., DVM, Ph.D., Dipl. ECPHM Assistant Professor, Department of Microbiology and Infectious Diseases, School of Veterinary Medicine, Aristotle University of Thessaloniki, Thessaloniki, Macedonia, GREECE. Kritikos, Haralambos N., Professor Emeritus, Department of Systems and Electrical Engineering, University of Pennsylvania, Philadelphia PA, USA. Kyriacou, George A., Associate Professor, Department of Electrical and Computer Engineering, Democritus University of Thrace, Xanthi, GREECE. Kyriakou, Anastasia, Plant Pathologist, Agricultural Research Institute, Lefcosia, CYPRUS. Ladikos, Anastasios, Professor, Department of Criminology and Security Sciences, University of South Africa, Pretoria, SOUTH AFRICA. Lagoudakis, Michail G., Assistant Professor, Technical University of Crete, Chania, GREECE. Lambrinos, Panos, Professor of Mathematics, School of Engineering, Democritus, University of Thrace, Xanthi, GREECE. Lampropoulos, George A., Ph.D. Adjunct Professor, ECE Dept., University of Calgary, CANADA. Lampropoulou, Venetta, Professor of Deaf Education, Deaf Studies Unit, Department of Education, University of Patras, GREECE. Lazaridis, Anastas, Professor Emeritus, Widener University, One University Place, Chester, PA 19013, USA. Leventouri, Theodora, Dr., Professor, Department of Physics, Florida Atlantic University, Boca Raton, FL, USA. Lialiaris, Theodore S., BSc, MD, Ph.D., Assoc. Professor of Medical Biology and Cytogenetics, Medical School of Democritus University of Thrace, GREECE. Lolos, George J., Professor, Physics Department, University of Regina, CANADA. Lymberopoulos, John Ph.D., Leeds School Summer Dean, Professor of International Business & Finance Leeds School of Business, University of Colorado at Boulder, USA. Manias, Stefanos, Professor, National Technical University of Athens, Dep. of Electrical and Computer Engineering, Electrical Machines and Power electronics Laboratory, Athens, GREECE. Manolopoulos, Vangelis G., Assoc. Professor of Pharmacology, Democritus University of Thrace, Medical School, Alexandroupolis, GREECE. School of Electrical & Computer Engineering, Athens , GREECE. Melakopides, Costas, Associate Professor of International Relations, University of Cyprus, Nicosia, CYPRUS. Mermigas, Eleftherios, Professor, ASCP, Pathology and Anatomical Sciences, University at Buffalo NY, USA. Simmons College, Boston MA, USA. Michaelides, Stathis, Ph.D., P.E. Professor and Chair, Mechanical Engineering University of Texas at San Antonio One UTSA Circle San Antonio, TX, USA. Michailidis, Dimitri, M.D., Gen.Surgeon, President, ELEFI (Hellenic Association of Pharmaceutical Physicians), President, Auditors Committee, Hellenic Society of Pharmacology, Member, EB IFAPP, GREECE. Michopoulos, Aristotle, Dr., Greek Studies, Hellenic College, Brookline, MA, USA. Miller, Stephen G., Professor Emeritus, Classical Archaeology, University of California, Berkeley CA, USA. Mylonakou-Kekes Iro, Assistant Professor, Department of Educational, Sciences, Faculty of Primary Education, University of Athens, 13A Navarinou, 10680 ATHENS, GREECE. Milonas, Nikolaos, Professor of Finance, University of Athens, Marousi, GREECE. Moulopoulos, Konstantinos, Dr., Associate Professor of Physics, University of Cyprus, CYPRUS. Mourtos, Nikos J., Ph.D., Professor, Mechanical & Aerospace Engineering, San Jose State University, One Washington Square San Jose, CA, USA. Nasis, Vasileios T., Ph.D., Adjunct Professor, Drexel University College of Engineering, Philadelphia, Philadelphia, Pennsylvania, U.S.A.
Nenes, Athanasios, Associate Professor, Schools of Earth and Atmospheric Sciences and Chemical and Biomolecular Engineering, Georgia Institute of Technology, USA. Newman, Constantine, Reverent Dr., Classics Professor-University of New Hampshire, USA. Newman Anna, Professor of Classics-University of New Hampshire, USA. Nikolakopoulos, Konstantin, Professor, Institute of Orthodox Theology, Ludwig-Maximilians-University, Munich, GERMANY. 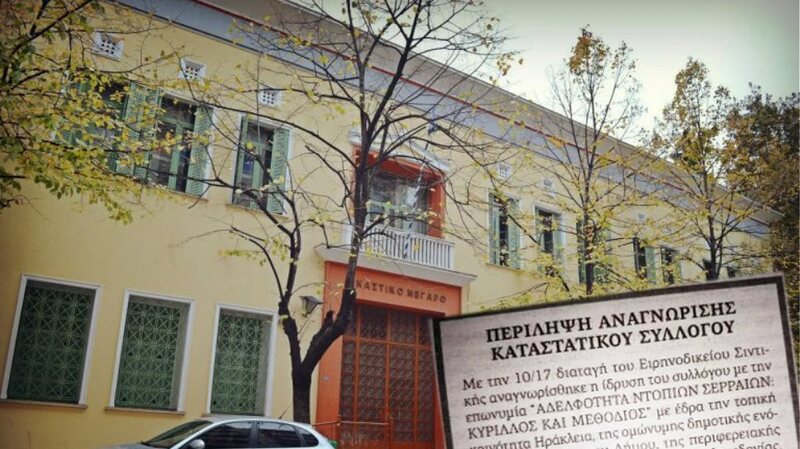 Department of Education, Archemedes Str., 265 04 Rio Patras, GREECE. Panagiotakopoulos, Demetrios, Professor of Civil Engineering, Democritus University of Thrace, Xanthi, GREECE. Panagiotopoulos, Dimitrios P., Assoc. Professor, University of Athens, Attorney-at-Law, President of International Association of Sports Law, GREECE. Papadopoulos, George K., Ph.D., Professor of Biochemistry and Biophysics, Epirus Institute of Technology, Arta, 47100, GREECE. Papadopoulos, George, Professor Emeritus, Applied Electronics Laboratory, Electrical and Computer Engineering, University of Patras, GREECE. Papadopoulos, Kyriakos, Ph.D., Professor, Department of Chemical & Biomolecular Engineering, Tulane University, New Orleans, LA 70118, USA. Papamarkos, Nikos, Professor, Democritus University of Thrace, School of Engineering, Department of Electrical and Computer Engineering, GREECE. Columbia University Medical Center. New York, NY, USA. Papazoglou, Georges, Professor of Palaeography, Chairman – Department History and Ethnology, Democritus University of Thrace, KOMOTINI, GREECE. 4401 University Drive, Lethbridge, Alberta, T1K 3M4, CANADA. Patitsas, Tom Athanasios, Professor Emeritus, Department of Physics and Astronomy Laurentian University, Sudbury, ON, CANADA. Pelekanos, Nikos, Professor of Materials Science and Technology, University of Crete, Heraklion-Crete, GREECE. Pelides, Panayiotis, Ph.D., Consultant Anesthesiologist, American Heart Institute, Nicosia, CYPRUS. Persephonis, Peter, Professor, Physics Department, University of Patras, GREECE. Phufas, Ellene S., Professor, English/Humanities SUNY- ECC Buffalo, NY, USA. Pintelas, Panagiotis E., Professor of Computer Science, Dept. of Mathematics, University of Patras, Patras, GREECE. Pittas, Stamatios, Head of Marketing Dept., KOSTEAS GROUP OF COMPANIES, Chalkis, GREECE. Plionis, Manolis, Ph.D., Research Director, Institute of Astronomy & Astrophysics, National Observatory of Athens, GREECE. Pnevmatikatos, Dionysios, Assoc. Professor, ECE Department, Technical University of Crete, GREECE. Polychroniadis, K.E., Professor, Department of Physics, Aristotle University of Thessaloniki, Thessaloniki, GREECE. Poularikas, Alexander D., Professor Emeritus (University of Alabama in Huntsville, Huntsville, Alabama), Houston, Texas, USA. Pozios, John LL.B., MBA, Director, Desautels Centre for Private Enterprise and the Law, Faculty of Law, University of Manitoba, CANADA. Psaras, GK, Ph.D., Professor, Section of Plant Biology, Department of Biology, University of Patras, Patras, GR 265 00, GREECE. Psyrri, Amanda, MD, Assistant Professor of Medicine, Yale University, New Haven, CT, USA. Rantsios, Apostolos T., Ph.D., Dipl., Past President, World Veterinary Association, Marousi, GREECE. Rapsomanikis, S., Ph.D., Professor, Director, Laboratory of Atmospheric Pollution, Control Engineering of Atmospheric Pollutants, Department of Environmental Engineering, Democritus University of Thrace, Xanthi, GREECE. Raptis, Aristotle, Professor, University of Athens, GREECE. Rigas, Fotis, Ph.D., Associate Professor, National Technical University of Athens, Athens, GREECE. Roilides, Emmanuel, MD, PhD., Assoc. Professor, 3rd Dept. Pediatrics, University of Thessaloniki, Hippokration Hospital, Thessaloniki, GREECE. Romanos, Michael, Ph.D., Professor of Economic Development, School of Planning, University of Cincinnati, Cincinnati, Ohio, USA. Rontoyannis, George P., Professor, Dept. Phys Ed Sports, Science University of Thessaly, GREECE. Rouman, John C., Dr., Professor Emeritus of Classics. Sarafopoulos Dimitrios, Associate Professor, Department of Electrical and Computer Engineering, Democritus University of Thrace, Xanthi, GREECE. Samothrakis, Periandros, Ph.D., P.E., Hydraulic Engineer, Frederick, Maryland, USA. Sapatinas, Theofanis, BSc, MSc, Ph.D., Associate Professor of Statistics, Department of Mathematics and Statistics, University of Cyprus, Nicosia, CYPRUS. Savvas, Minas, Professor Emeritus, San Diego State University, SanDiego, CA, USA. Siafarikas Panayiotis, Professor, Department of Mathematics, University of Patras Patras, GREECE. Sideris, Kosmas, Ph.D., Civil Engineer Lecturer, Democritus University of Thrace, Xanthi, GREECE. Simitses, George J., Professor Emeritus of Aerospace Engineering, Georgia Institute of Technology, Atlanta, GA, USA. Siolas, John G., Ph.D., Educator, New York, USA. Sivitanides, Marcos P., Ph.D., CCP. Associate Professor, Information Systems, McCoy College of Business, Texas State University San Marcos, Texas, USA. Skias, Stylianos G., Assist. Professor, Democritus University of Thrace, GREECE. Hellenic Open University, 13-15 Tsamadou, GR-26222 Patras, GREECE. Sotiropoulou, Georgia, PhD, Assoc. Professor, Department of Pharmacy, School of Health Sciences, University of Patras, Rion-Patras 26500, GREECE. Department of Chemical Engineering, University of Patras, University Campus – Rion, GR – 265 04 Patras, GREECE. Stamatoyannopoulos, George, M.D., Dr., Sci., Professor of Medicine and Genome Sciences, Director, Markey Molecular Medicine Center, K-240 Health Sciences Building, Box 357720, Seattle, WA 98195-7720, USA. Stamboliadis, Elias, Associate Professor, Mineral Resources, Engineering Dept, Technical University of Crete University, Campus Chania, Crete, GREECE. Stavrou, Esther, Ph.D., Associate Clinical Professor, Ferkauf Graduate School of Psychology, Yeshiva University, Bronx, New York, USA. Stephanopoulos, Greg W.H., Dow Professor, Chemical Engineering and Biotechnology, Massachusetts Institute of Technology, Department of Chemical Engineering, Cambridge, MA, USA. Syrimis, Michael, Assistant Professor, Department of French and Italian, Tulane University, New Orleans, Louisiana, USA. Tassios, Dimitrios, Professor Emeritus, National Technical University of Athens, Athens, GREECE. Tavouktsoglou, Athanasios N., Ph.D., Professor, Concordia University, College of Alberta, CANADA. Templar, Marcus A., M.A., M.S., Balkans expert, Illinois, USA. Thramboulidis, Kleanthis, Assoc. Professor, Software Engineering Group (SEG) – Electrical & Computer, University of Patras, PATRAS, GREECE. Tryphonopoulos, Demetres P., A/Dean, School of Graduate Studies, Professor, Dept. of English, University of New Brunswick, Fredericton, N.B., CANADA. Tsakiridou, Cornelia A., Ph.D., Associate Professor, Philosophy, Director, Diplomat-In-Residence Program, La Salle University, Philadelphia, Pennsylvania, USA. Tsatsanifos, Christos, Ph.D., Civil Engineering MSc., D.I.C. M.ASCE. Athens, GREECE. Tsigas-Fotinis, Vasiliki, Ph.D., Professor of Education, Caldwell College, Caldwell, New Jersey, USA. Tsihrintzis, Vassilios A., Professor of Ecological Engineering & Technology, Director, Laboratory of Ecological Engineering & Tehnology, Chairman, Department of Environmental Engineering, School of Engineering, Democritus University of Thrace, Xanthi 67100, GREECE. Tsinganos, Kanaris, Professor, Department of Physics, University of Athens, Athens, GREECE. Tsohantaridis, Timotheos, Ph.D., Professor of Biblical Studies and Greek, George Fox University, Newberg, Oregon, USA. Valanides, Nicos (visiting scholar at DePaul University, Chicago, USA), Associate Professor (Science Education), Nicosia, CYPRUS. Velivasakis, Emmanuel E., PE, FASCE, President, PANCRETAN ASSOCIATION OF AMERICA & HELLENIC AMERICAN NATIONAL COUNCIL, New York, USA. Vardulakis, Antonis, Professor, Department of Mathematics, Aristotle University of Thessaloniki, Thessaloniki, GREECE. Varkaraki, Elli, Ph.D., Senior Researcher, Centre for Renewable Energy Sources, GREECE. Vasilos, Thomas, Professor Emeritus, Department of Chemical Engineering, University of Massachusetts, Lowell, Massachusetts, USA. Velgakis, Michael, Professor of Physics, Engineering Science Dept., University of Patras, Patras, GREECE. Vlavianos, Nickie, Assistant Professor, Faculty of Law, University of Calgary, Calgary, CA, USA. Voudrias, Evangelos A., Professor, Department of Environmental Engineering, Democritus University of Thrace, GREECE. Vrongistinos, Konstantinos, Ph.D., Biomechanics Laboratory, Department of Kinesiology, 18111 Nordhoff St., California State University, Northridge, CA, USA. Yannopoulos, Panayotis C., Associate Professor, Department of Civil Engineering, University of Patras, GREECE. Yiacoumettis, Andreas M., Assoc. Professor, Plastic Surgery, Democritus University of Thrace, Secretary General ESPRAS ExCo, President 11th ESPRAS CONGRESS, President UEMS Section Plast. Rec.& Aesthetic Surgery, GREECE. Ypsilanti, Maria, Assistant Professor of Ancient Greek Literature, University of Cyprus, Dept. of Classical Studies and Philosophy, PO Box 20537, 1678, Nicosia, CYPRUS. Zavos, Panayiotis, Professor Emeritus, Reproductive Medicine & Andrology, Lexington, KY, USA. Zervos, Nicholas A., Ph.D., Director, Adv. Multimedia ALGOSYSTEMS, Athens, GREECE. Zotou, Vassiliki, Ph.D., Language and Linguistics, University of Thessaly, Volos, GREECE. * Hellenic Electronic Center (HEC) www.greece.org is a non-profit (IRS 501 (c )3 (51-0377653) US organization with 38,000 members and 90 forums. The Professors’ and PhDs’ forum has a membership of 5,000 academics from 18 countries. One of the objectives of HEC as well as the Professors’ forum is to defend Hellenic history, language, and culture and inform the global community on these issues.